When you first start your car, how long does it take for your AC, heater or defroster to kick in? 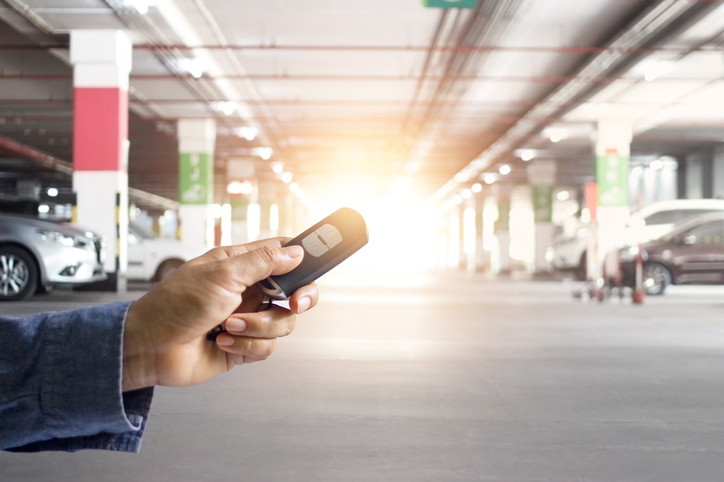 With a remote start system, you could use those few minutes to get that last cup of coffee or do another house check before sliding into your car, ready to go. What Is a Remote Starter? A remote starter is an electronic device that uses a radio frequency to start your car from a distance of between 500 and 1,000 feet. Some remote starters are very basic and only include the starting function. Others have features such as remote climate control, keyless entry, car locater, defroster activation, heated seat activation, car alarm, remote trunk opener and smartphone compatibility, according to Lifewire. In addition, there are modular remote start systems that allow you to add features as needed. Enhanced comfort during the winter. Because you can remotely warm up your car’s engine and turn on the heat, you’ll never have to wait in a freezing cold car again. With remote defroster activation, you can get the heavy lifting done on removing ice from your vehicle’s windows. Moreover, you can save a considerable amount of time, since all of this is done while you’re still getting ready indoors. More comfort during the summer. With the ability to get the AC going before opening that car door, you can let your vehicle’s interior cool down to avoid those scorching seats and that hot steering wheel. Heightened security. As Mobile Edge. points out, a remote car starter offers at least three levels of anti-theft protection. First, it automatically locks all doors. Second, it only allows the engine to run for between 10 and 20 minutes. And third, the key has to be in the ignition (or key fob inside the vehicle) and turned to the “on” position in order for the car to be driven. More advanced remote starter systems often include panic buttons and car alarms, offering even more security. Enhanced convenience. Remote starters that have keyless entry and remote trunk opening prevent you from having to search for your keys when your hands are full. According to Compustar, the installation of a basic remote start system on a non-luxury vehicle can cost anywhere between $250 and $400. The more advanced the system or more high-end the vehicle, the higher the installation costs are likely to be. DIY or Professional Installation: What’s Better? Although some remote starters come with instructions for DIY installation, experts generally recommend that you leave it to the professionals. The reason is that with most vehicles, things like alarms and other systems need to be bypassed, so in-depth knowledge of the vehicle’s system and electronics are needed for a proper and safe installation. Installing a remote start system in your car can add comfort, convenience and security. And if you have a busy schedule and live in an area with cold winters or hot summers, a remote starter can make your car’s interior more pleasant.